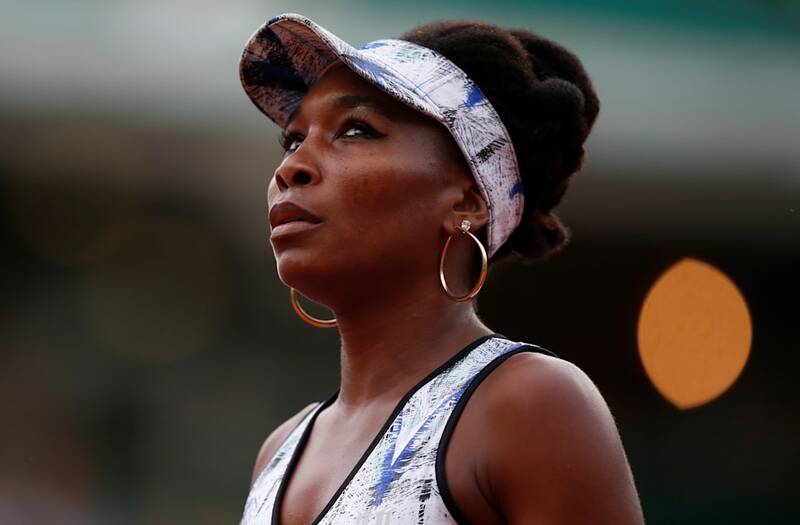 Popular tennis star Venus Williams was named in a wrongful death lawsuit on Friday, a day after police released a report that said she was at fault for a crash that led to the death of a passenger in another vehicle. The suit states that Jerome Barson, 78, died June 22 "as a result of the negligence of" Williams' driving. They list her failure to yield to a right of way and to stop at a red-light as reasons for the crash. Williams has not been charged or cited with any crime. Williams and her lawyer contend that she did not run a red light. Barson's injuries, according to the lawsuit, included "lacerated skin, severed main arteries, massive internal bleeding, a fractured spine, and massive internal organ damage." His wife Linda Barson, 68, who drove the car suffered "a cracked sternum, shattered right arm, broken right wrist, hand and fingers." According to court documents, Linda Barson is permanently injured and impaired. The pair were married for 33 years, and Jerome Barson died after two weeks and several surgeries. Audrey Gassner-Dunayer, Linda Barson's daughter, filed the lawsuit on her mother's behalf and is seeking damages to make up for the loss of "prospective net" earnings as well as additional damages in excess of $15,000. The crash originally occurred on June 9 in the early afternoon after Williams said she entered a six-lane intersection on a green light but had to stop midpoint because of traffic, according to the Associated Press. Barson and Williams have both said that they did not see the crash coming. Williams drove a 2010 Toyota Sequoia, and the Barsons drove a 2016 Hyundai Accent. Both cars experienced extensive damage in the crash. "Ms. Williams entered the intersection on a green light. The police report estimates that Ms. Williams was traveling at 5 miles per hour when Mrs. Barson crashed into her," Williams' lawyer said in a statement issued Thursday. "Authorities did not issue Ms. Williams with any citations or traffic violations. This is an unfortunate accident and Venus expresses her deepest condolences to the family who lost a loved one."